Raheem Sterling has moved to explain the meaning behind his new gun tattoo. The Manchester City and England star has been pictured with what appears to be the image of a M16 rifle on his lower right leg. 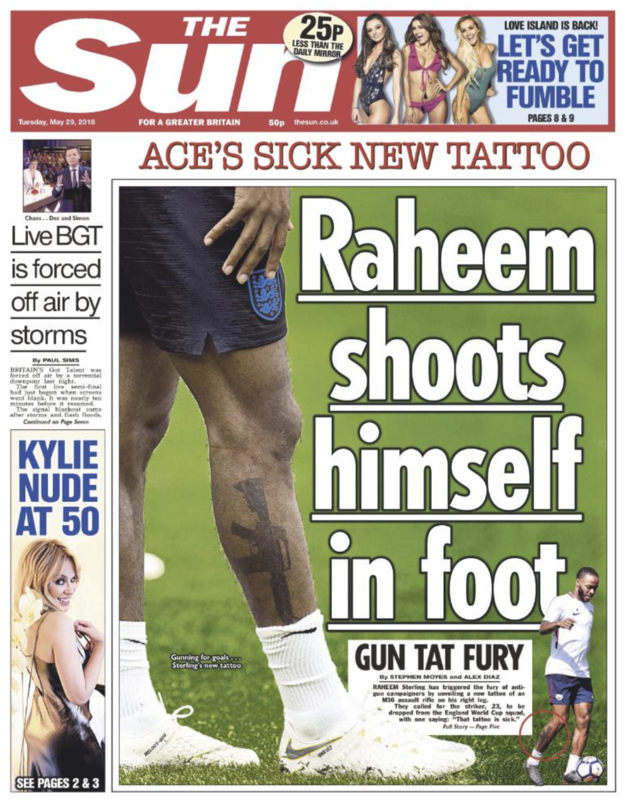 Describing it as a 'sick new tattoo' The Sun saw fit to make this the main story on their front page on Tuesday morning. 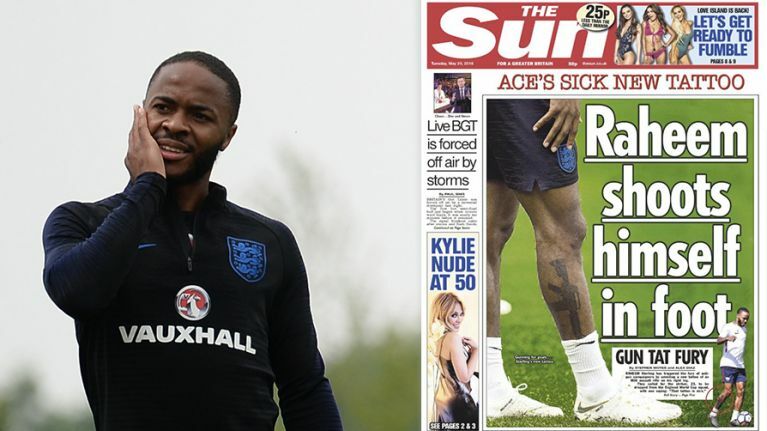 The publication also pointed out how the tattoo had 'sparked fury' and drawn criticism from anti-gun campaigners, with some of them calling for him to be withdrawn from England's World Cup squad as a result. 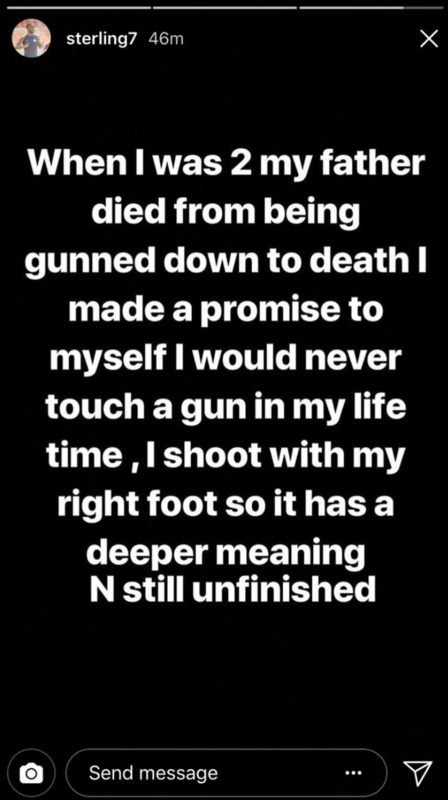 Sterling later responded to the front page on his Instagram Story, explaining the tattoo was a reminder of how he had promised never to touch guns following the death of his father, who died after being shot when the former Liverpool player had been a small child. He also added the tattoo had 'deeper meaning' and was still unfinished. Gary Lineker later described The Sun's treatment of Sterling as 'disgusting', calling for the paper to 'leave him alone'.